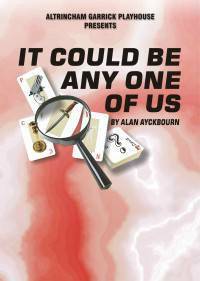 A second play this season by popular Alan Ayckbourn, but this one we just could not resist. A homage to Agatha Christie, with extra surprises for good measure. A clever pastiche of the traditional country house murder. A thunderstorm. A family of failures – a detective who has never solved a case, a writer who has not been published, a composer whose compositions have never been performed, a dysfunctional teenager, wrangling over a bequest. All this and more make this a thriller not to be missed.